I decided to join the Fox Chase Cancer Center team in conquering cancer because I saw first-hand the dramatic difference we can make here. I decided to continue my training in Philadelphia after completing my general surgery residency in New York City, under the tutelage of my father, also a surgeon who spent many years treating cancer. I completed a two-year fellowship in complex surgical oncology at Fox Chase, working closely with various multidisciplinary teams in caring for patients with colorectal, liver, pancreatic and stomach cancers, in addition to melanoma and sarcomas. Being trained by leaders in the field, I had the unique opportunity to hone my skills and expertise, and apply them to my own clinical practice. I have extensive training in traditional open surgery, as well as laparoscopic and robotic techniques, allowing me to offer individualized care to patients. I have particular interests in the management of sarcomas and colorectal, melanoma and pancreatic cancers. The implementation of minimally-invasive surgical techniques to the management of colorectal cancer is routinely offered at Fox Chase, and similar techniques are used to address pancreatic diseases. I also have a keen interest in the use of hyperthermic intraperitoneal chemotherapy (HIPEC), following cytoreductive surgery for cancer of the peritoneum, including appendix cancer, peritoneal mesothelioma and pseudomyxoma peritonei. In addition to this, there is a necessity to understand the benefit of, and perform further research, incorporating HIPEC in patients with colorectal and gastric cancers, which our team will explore further. 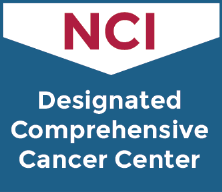 The benefit of an NCI-designated cancer center is that we are able to offer many innovative strategies in treating all types of cancers. Whether through a national clinical trial or particular surgical technique, we optimize patient care to the individual. I believe the physician-patient relationship is one of the foundations to building a plan to treat cancer, and I offer guidance through each stage of treatment. Medicine has always been a family-oriented field for me; with my father being a surgeon, and mother an anesthesiologist, I take great pride in offering compassion and honesty in formulating individualized treatment plans for every patient and his or her family. I grew up in beautiful, sun-soaked Bermuda, and while I loved island life, it meant my skin was exposed to a lot of UV radiation at a time when we didn’t know how important it was to protect our skin. In my 20s I was more careful, but it wasn’t enough. In the summer of 2017, at age 58, I was diagnosed with malignant melanoma. My local oncologist diagnosed me with appendiceal cancer. He said Fox Chase Cancer Center would be a great place to be treated, and we are thankful he sent us there. My research interest for colorectal malignancies focuses on the use of national cancer databases to assess the accuracy of clinical staging, to see if this has improved over time, and to observe reporting standards between academic institutions versus other centers. As treatment of colorectal cancers involve multimodality planning, accurate clinical staging proves to be the foundation on how best to deliver care. I also have a strong research interest in the vascular resectability staging of pancreatic cancer. Currently under review is our preoperative venous and arterial staging for borderline resectable pancreatic cancers and whether we are able to predict from preoperative imaging the likelihood of clear margin achievement and prognosis. As treatment of borderline resectable pancreatic cancer continues to evolve, accurate preoperative vascular resectability staging is imperative to assess and guide multimodality therapy. Barnica VH, Reddy SS, Wu H, Fang Z, Olszanski A, Farma JM. High Mitotic Rates in Patients with Cutaneous Melanoma. (Manuscript pending publication). Reddy SS, Cooper HS, Ruth K, Chun YS, Watson JC, Hoffman JP. The Role of Adjuvant Chemoradiotherapy in Pancreatobiliary versus Intestinal Subtypes of Ampullary Cancers. Gastroenterology. Volume 144(5). 1107-1108. (Manuscript pending publication). Reddy SS, Boukovalas S, Barnica V, Fang Z, Wu H, Farma JM. The Presence of Tumor Infiltrating Lymphocytes and their Role as a Prognostic Indicator for Melanoma. (Manuscript pending publication). Reddy SS, Hoffman JP. Letter to the Editor Referencing, Kelly et al, Vein Involvement during Pancreaticoduodenectomy: is there a need for Redefinition of “Borderline Resectable Disease?” Journal of Gastrointestinal Surgery. February 2014. Reddy SS, Leitman IM. Blood Transfusions in the Surgical Patient: A Gift of Life, but at What Cost? J Surg Res. Volume 181 (2): 216-218. May 2013. Reddy SS, Leitman IM. Pharmacotherapy for Traumatic Spinal Cord Injury: The Science Behind the Promise. J Surg Res. Volume 181(2): 222-224. May 2013. Reddy SS, Bloom ND. En Bloc Resection of Extra-Peritoneal Soft Tissue Neoplasms Incorporating a Type III Internal Hemipelvectomy: a Novel Approach. World J Surg Oncol. Volume 10(222): 1-6. October 2012. Wayne MG, Reddy SS, Pacholka J, Yuan S, Levi G. Inflammatory Pseudotumor of the Spleen: Case Report. Journal of Solid Tumors. Volume 2(2): 43-46. April 2012. Chander RK, Iskander M, Reddy SS, Kigongo S, Ingram M, Madlinger RV. Laparoscopic Dissection of Para-Aortic Mass. Surgical Science. August 2011. Martins PN, Reddy SS, Martins AB, Facciuto ME. Follicular Dendritic Cell Sarcoma of the Liver: An Unusual Presentation of a Rare Tumor and Literature Review. Journal of Hepatobiliary Pancreat Dis Int. Volume 10: 443-5. August 2011. I would recommend Dr. Reddy's office & Fox Chase to anyone. So friendly & kind & always has time for patients. Dr. Reddy feels genuinely concerned about you and instills a sense of positivity. I can't even begin to explain how grateful I am of this man, who saved my life! He is, hands down, the BEST physician ever!! My family & I absolutely love him!! From the first day I walked through Fox Chase, and received my initial consult with Doctor Sanjay Reddy, I have shared with every, and anyone that they or their loves ones maybe having challenges with Caner, I have referred to Fox Chase Cancer Treatment Center, along with Dr. Reddy, for the remarkable medical and care and treatments. Dr. Reddy & all staff exceptional with patient & family. All good. Dr. Reddy is the best! [...] I couldn't be in better hands with Dr ready, Dr [...] and [...].